I usually jump on getting these Bonus boxes from Goodbeing since I’m not a regular subscriber but still like their cruelty-free model. This box? Not so great. It claimed to contain between 8-13 items that have been included in member boxes over the past 18 months with a value of over $100. I opted for the beauty box which was meant to contain a mix of makeup, haircare, and skincare products, and it arrived January 22, 2018. *SIGH* For starters, the Vapour gloss I received in the February 2016 box, the Juice Organics foil packets from April 2016, and the St. Tropica hair mask from September 2016. But hey, at least I didn’t get yet another one of those seed bead bracelets! The tally was 17 individual items, a total of 10 unique products, and a total value of $129.87, so it lived up to the value expectations, but some of the items are from so long ago and there are so many foil packets and duplicate items that I was left feeling kind of blah about this box. Anyway, here’s the rundown of products – I won’t get into reviews since there are too many products to try all at once, but if you search back, you may find reviews since I’ve gotten half of these products in the past. I doubt I’ll do another one of these boxes from Goodbeing if they’re still foisting off leftovers from two years ago that I already received from being a prior subscriber. Super disappointing, Goodbeing. Every time I see emails for these bonus boxes from Goodbeing, I jump on the chance to pick one up. I had been a regular Goodbeing/Goodebox subscriber until May of 2016, but I still like grabbing these bonus boxes since they tend to be a good value. This one sold for $30 including shipping and was advertised as being between a $75 and $90 value with 10 products, at least two full size items. I usually don’t do reviews on these bonus boxes since there are a lot of products to go through and try, but I’ll at least do a list of the products plus values. My box contained 12 products with 2 of those being full size, one of which was another one of those Rafiki bracelets like the one from February of last year but in a different color. These were the bracelets that led me to cancel my subscription since they came in two boxes in a row and were not something I was interested in (I can’t believe they STILL have these around). 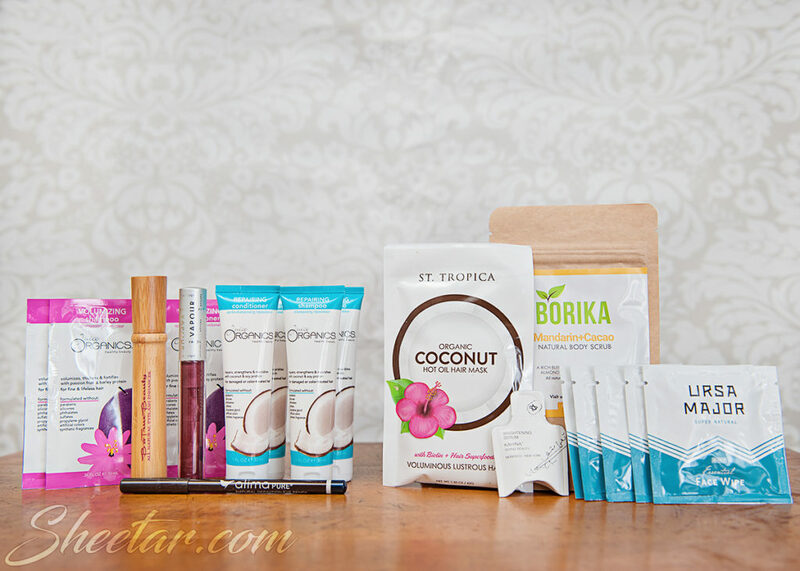 As someone who isn’t a regular monthly subscriber, I did get a few neat, new products that I haven’t tried before, so this is a great way to dip your toe into what Goodbeing offers before jumping in to a monthly subscription. The total value comes to $115.93 which is well above the advertised value! I’m pretty happy with mostly everything that came in this bonus box. The only things I’m not terribly thrilled with are the bracelet and vitamins, but I’ll end up using everything else which makes the box a pretty fantastic value for $30. It’s hard to pick a single item that I’m really thrilled about, but it’s probably the a tie between the Osea cleanser and Folium Medica potion that smells SO good. Honestly, this was a great value for what’s included, and I always like getting these bonus boxes. Looking forward to the next one! This is the last box in my Goodbeing/Goodebox subscription. I cancelled a few months ago but had a few boxes left on a six month subscription, so this is the final box. Relieved to see there’s no seed bead bracelet in this one, but at the same time, I’m disappointed in the box overall. The Pore Refining Mask is the same one I received in last month’s box. The Board and Batten Herbal Facial arrived with the little serum bottle having half emptied itself into the ‘tea’ inside the bag (the cap was basically half unscrewed). I’m actually glad this is my last box from them because I definitely feel like it’s more misses than hits for me lately which is a personal thing, but for a box that has a lengthy survey of preferences, I feel like it should be doing a better job of nailing it every month than a box that ships the same 5 items to everyone. Still though, I’m sad to have unsubscribed in a way, because this one was honestly my favorite box for a long time running, but it just hasn’t been worth it for me over the past 3 or 4+ months of boxes. Anyway, before I go on and on about how bummed I am (again) about the turn this box has taken, on to the contents! Pacifica Aquarian Gaze Mascara – .25 oz / $14 – (Full size product) I received the color, “Abyss,” an inky black. I was a little skeptical about the brush tip since it’s one of those plastic spiky applicators and it feels a little flimsy, but it actually works really well to separate lashes and keep them from clumping. One coat made a perfect, subtle, everyday look. Two coats ramped it up to hey-there-lashes without clumping. So far, I’m pretty impressed AND I don’t want to itch my eyes yet which is a good sign! There’s no discernible scent, but it does smell a little plasticky. Takes a little longer to dry/set than other mascaras but it seems like it’ll hold up to a full day (or evening) pretty well. Bonnie Pore Refining Rose Mask – 3 oz / $16 – (Sample is .7 oz, value of $3.73) I received the exact same item last month. Duplicate items are really not cool – I wouldn’t have made a big deal out of this if I had gotten a different variant, but it’s the exact same one I already have. I noticed that my last box available to see in detail on the website is the March box, so apparently after I cancelled, they stopped tracking what I have and haven’t received, and I also haven’t gotten surveys or coupon codes via email since then. Kind of disappointed in the cancellation process and how the remaining boxes I had on my subscription were handled after I cancelled. London’s Pedisoaks Foot Masque – 4 oz / $25 – (Sample is 1 oz, value of $6.25) It smells a lot like lemongrass and, as the tip reads at the bottom of the product card, this product needs to be refrigerated. I assume that’s because of the ingredients, but I don’t see any ingredients that would spoil, so I’m not sure of the reasoning for that. I’ll have to give these a try and report back. I don’t do a lot of foot-care (is that a thing?) mostly because I go around barefoot during the warmer weather and my feet get pretty callused and worn and I just don’t care what they look like in general, but it might be nice to take an evening to give this a try. Update 30 May 2016: I did give this a try and followed it with the foot polish below. I even went so far as to put my feet in plastic bags and then put socks on, leaving the masque on for an hour. My feet did feel soft, but of course I go around barefoot all summer, so that pampering was completely ruined the next day. I’m just not into foot scrubs and treatments, nice as this is, so it really misses the mark for me. Calluses are protective – I rely on them in the summer and don’t want to get rid of them! London’s Pedisoaks Foot Polish – 4 oz / $15 – (Sample is 1 oz, value of $$3.75) The product card says the value is $5, but by the ounce, it’s $3.75. Anyway, I guess this is a companion piece to the prior item. It’s basically a fancy salt scrub that’s peppermint scented. Why is everything for feet peppermint scented? Not my favorite scent, but I’ll give it a try after the Foot Masque since I have it anyway. Looks like it separated a little in the jar, but it’s easy enough to mix up again. The formula is a little more liquidy than your average salt scrub, so it’s probably something to do over the bathtub. Board and Batten Facial Steam – 1.2 oz / $26 – (Sample is .35 oz, value of .4 oz size is $12) Ehhh, I’m not really into this. It’s super time-consuming and I’m just not sure steaming your face over tea is actually going to do anything than open your pores from the steam. Color me skeptical. The baggie arrived with the serum bottle inside having half emptied into the baggie of dried herbs which is kind of disappointing. The herbs smell a lot like chamomile tea which is nice. I just.. I don’t know, I don’t see myself doing this kind of thing regularly since it takes up so much time between boiling water and holding your head over a hot bowl for 5 to 10 minutes. I can’t exactly multitask if my head is stuck over a bowl for ten minutes. Maybe that’s the point, to slow down and relax while the steam works on your face, but I’m so not that person. I’ll still try it whenever I find the time, or maybe as a pick-me-up when I’m sick. Total value comes to $39.73, another pretty low value box. Having a six month subscription means I only paid $19 for the box so the value is still double the cost, but only JUST. At least there’s one full-sized item (the mascara) and I’m really happy with the mascara, but it’s not enough to cover the cost. 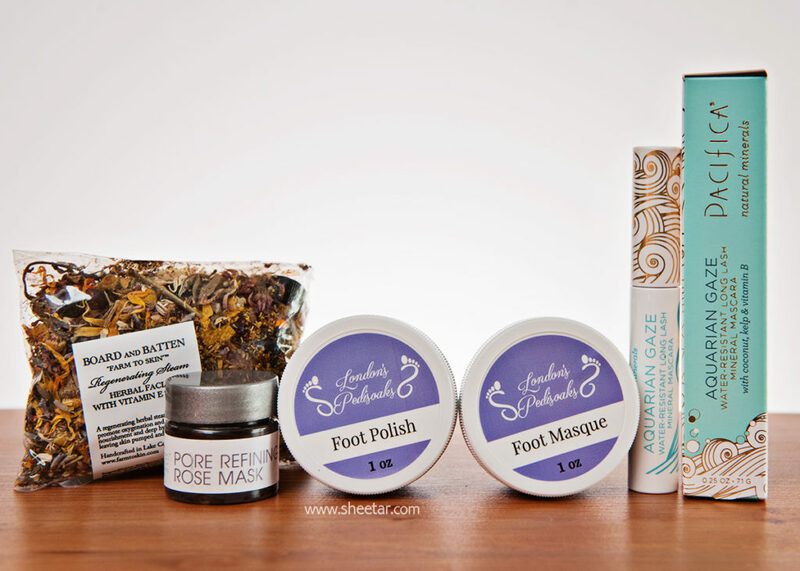 The rest of it, I’m honestly not that thrilled with – the foot products will be fun to try, but they’re not something I would’ve marked as a “wanted” item from a subscription box. Oh well, I figure this leaves me some space to try a new box or two, so here’s to closing one chapter and opening another! Every once in a while, Goodbeing does this bonus boxes to clear out their inventory of old products. Even though I cancelled, I still love these bonus boxes, so I jumped on it the second I got the email. The box cost $20 plus $5 shipping, ten items included at least two full size. Not a bad box! 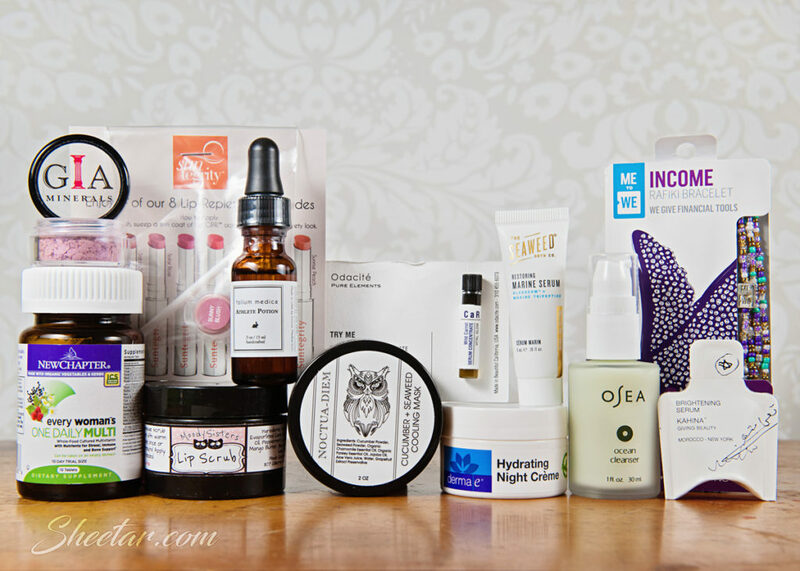 I’d gotten everything in the box before except the Juice Beauty Moisturizer and the Gia blush, but don’t mind seeing the Balanced Guru set again – the Nourish Me oil is probably my Holy Grail as far as subscription boxes go this year. I’ll probably be trading out/gifting the Curandera oil since I really can’t tolerate the smell. The Natural tanner is going too (I’m fair skinned, so tan just looks silly on me), as is the Davids Toothpaste (Stevia and I DO NOT get along). Even without those three products, the Balanced Guru set covers the $25 total cost, so I’m good with that! Oh the blush is WAY too pink for my rosy cheeks, but I figure it can be repurposed as an eyeshadow so I’m okay with that. Here’s a quick rundown of the contents plus values. The total value of the box is $102.98 which is pretty phenomenal. Even without the three products I won’t use, I’m still at $80.58 which is a pretty good return on $25!